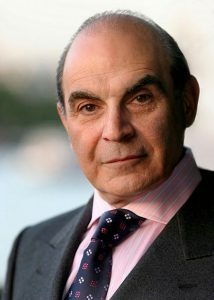 We are delighted that David Suchet CBE will be at the helm of Nutfield and Raymond at this year’s Braunston Historic Boat Rally Parade on Saturday 23rd June at 11:00am. David is best known for his role as Agatha Christie’s Poirot for 24 years which earned him a British Film and Television Award (BAFTA) nomination. He is also a renowned in theatre work and is a published author. Suchet also has a long association with the waterways and is vice-president of the Lichfield and Hatherton Canals Trust. He was also officially voted in as chairman of the River Thames Alliance in November 2005. At the July 2006 Annual General Meeting of the River Thames Alliance, he agreed to continue being chairman for another year. He is a Patron of the River Thames Boat Project.